Influential politician and chieftain of the Peoples Democratic Party, has today, in his home state of Adamawa, declare his ambition to run for the presidential sit in 2019. 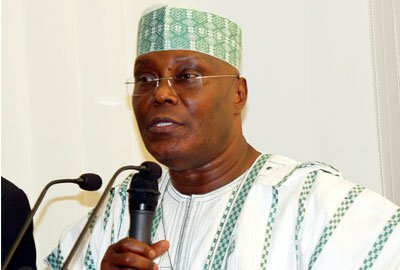 Former Vice President Atiku Abubakar stood before a cheering crowd in his home state of Adamawa on Saturday, announcing he will seek the Peoples Democratic Party (PDP) ticket for president next February, PREMIUM Times reports..
Decrying the large-scale killings that have touched many parts of the country in recent months before thousands packed into Yola town square at the heart of Nigeria’s north-east, Abubakar said President Muhammadu Buhari’s government would be remembered more for its bloodshed than any development it brought to citizens. Abubakar told a crowd chanting “Atiku! Atiku!” shortly after 2:00 p.m. that he would curtail inflation and unemployment rate in the country, saying Buhari and the ruling All Progressives Congress have displayed a common lack of capacity when it comes to the issues that matter to citizens the most. “Today, we have the highest unemployment rate in history of this country, more than one million of our youth are unemployed,” Abubakar said, adding that the PDP would secure the country, ensure unity and security of life and property. Abubakar is only one of several top political players eyeing the PDP ticket, having other top contenders like Sule Lamido and Ahmed Makarfi. Recently, political analysts expect the race to get even more fluid when the likes of Musa Kwankwaso, Aminu Tambuwal and other elements of the so-called newPDP make their expected formal return to the largest opposition entity. Yet, Abubakar’s stature as a former vice-president and serial presidential contender with vast political and financial muscle made him a top favourite for the ticket. He has visited most of the southern states for consultations, and his office said he plans to take the tour to all the 36 states before the party’s primaries in a few months’ time. He also sees himself in a good light, aiming directly at Buhari rather than his party ticket challengers. But critics are dismissing his campaign as a sideshow that would soon hit the rocks because of Abubakar’s unanswered allegations about corruption. With him at today’s rally were Uche Secondus, the party’s chairman, Gbenga Daniel, his campaign director, and Ben Murray-Bruce, a serving senator who also emceed the televised event.